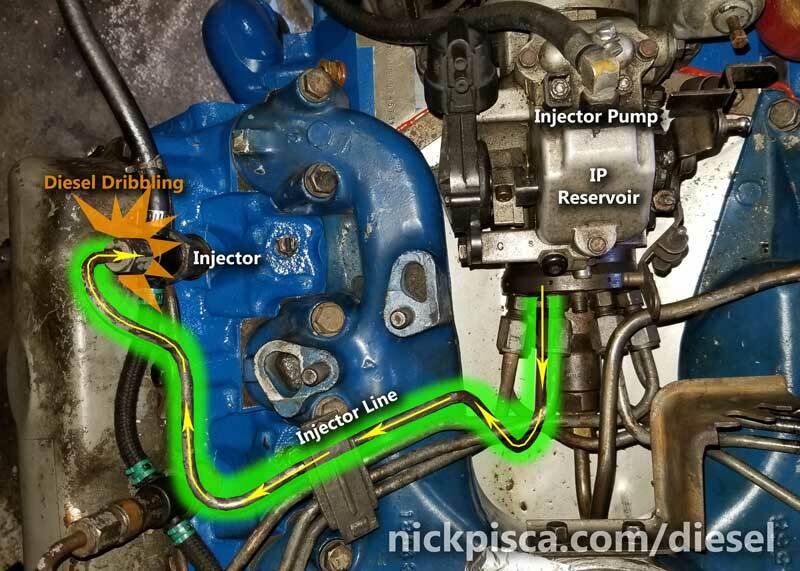 Here is the process for bleeding the air from injector lines on a 6.9 or 7.3 IDI diesel engine. If you have been cranking and cranking and cranking your IDI, and it never seems to catch, then you might have air in your injector lines. The Injector Pump (IP) creates hundreds of PSI of pressure in the injector lines. The injectors “pop” at a high pressure, which sprays diesel fuel into the cylinder head. If there is air in that injector line, the IP output pressure is padded by the bubbles and the requisite high operating pressure is never achieved. Without high pressure, the injectors do not pop, and those air bubbles never leave the injector line. The owner must purge that air manually in order to get the injectors popping, and ultimately get the engine running. I personally prefer to use the stumpy Craftsman 5/8″ wrench, because it fits in the van engine bay a lot easier. Also, the quality of the wrench is paramount, because you don’t want an inferior-brand wrench rounding the hex on the injector lines. If there is build up or grime on your injectors and lines, clean them off. 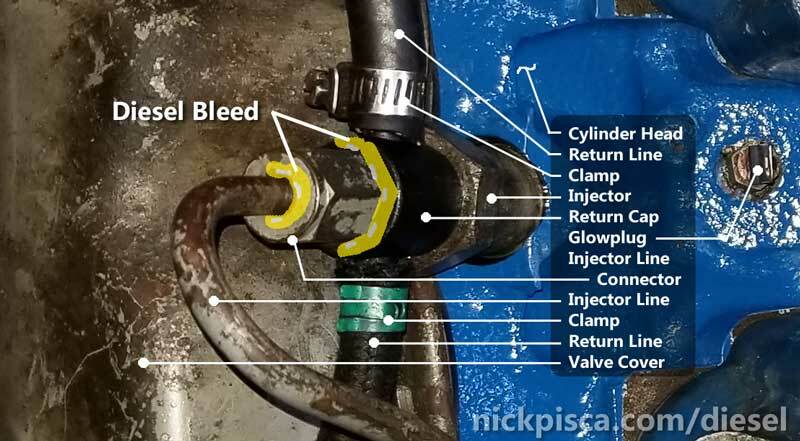 If you have been cranking and nothing seems to start the engine, “crack” a few injector lines. “Cracking” means to unthread the end of the injector line at the top of the injector. You only need to unthread it a few threads. Taking the injector line off the injector is ok, but it is a pain to reinstall quickly, so I recommend just unthreading it a few threads so that the air can find a path out. With 3 or 4 lines “cracked,” turn over the engine for about five to ten seconds with the accelerator fully depressed. A properly-purged fuel injection system should dribble diesel fuel immediately out of the lines. If nothing comes out, this affirms there is air in the IP and/or lines. 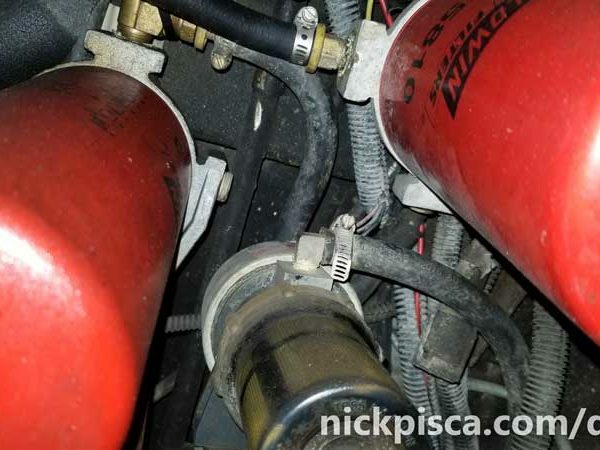 First, check to make sure you are getting fuel to the Schroeder valve on the diesel fuel filter. Read this article FIRST which explains how to check your Schroeder Valve. 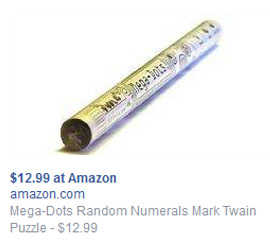 Second, make sure you have proper batteries. They need to be at least 12.3V to make the IDI crank well on a good day. You will need a lot more voltage and amperage for the upcoming injector line purge cranking. Slow rotation will not fire these beasts up. Also, if the batteries are old, don’t crank well, have a bad cell, or don’t take a charge will be a problem. Third, make sure your starter and cables are in good order. This cranking process might put some strain on them. To reiterate, “cracking” means to unthread the end of the injector line at the top of the injector. You only need to unthread it a few threads. Taking the injector line off the injector is ok, but it is a pain to reinstall quickly, so I recommend just unthreading it a few threads so that the air can find a path out. Using the paper towel, wipe the dribbling fuel off. Once the spurting fuel is consistent (not just random bubbles), use the 5/8″ wrench to tighten the end of the injector line on the injector. The quicker you torque it down, the less likely the fuel is going to work its way out of the crack, and the less likely it will lose its prime. So the moment you see consistent flow out of the injector line, immediately tighten it, and the better off you’ll be. One-by-one, you will tighten down the lines. By the time four or five lines are tight, the engine will start to sputter. It might even start. Give the engine half throttle to work out any remaining bubbles. As soon as possible, torque down the remaining injectors. Any delay will result in diesel fuel spraying all over the engine bay. There may be a few minutes of a rough idle, because remaining bubbles might need to work their way through the injectors. At this point, the IDI should be idling. If not, keep on reading. 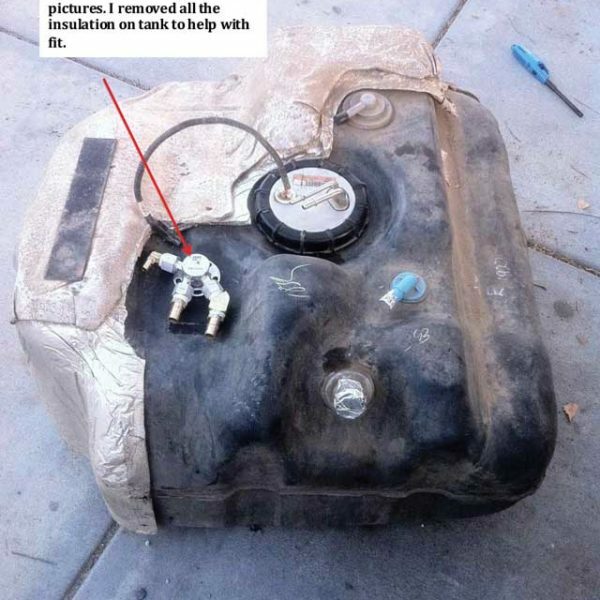 Recheck your fuel hoses, lift-pump, and pre-IP fuel related parts. This article goes in depth on that. Also, there is a pre-filter screen on the center of the IP that might get clogged. Try removing it, cleaning it out, and reinstalling it. Check to make sure your FSS is getting 12v power. For the sake of brevity in this article, I’ll leave it up to you to google “IDI FSS Location” and test this on your own. The IP might be shot. They have an operational life of around 100,000 miles. Also, many IP’s are shoddily rebuilt. 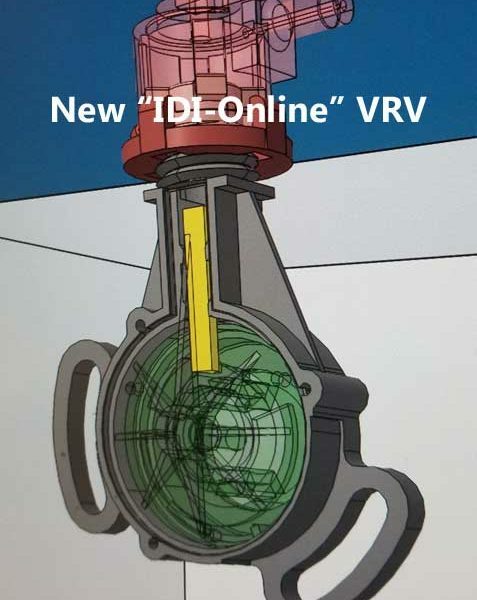 The only reliable IP rebuilders are R&D IDI Performance, Conestoga Diesel, and one other.